We are starting this website to show some pictures of what we have here at Lucky's and to give people directions how to get here. 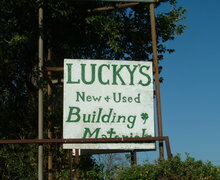 We have been in business for over 25 years, selling used building materials. We used to have lumber and more misc. 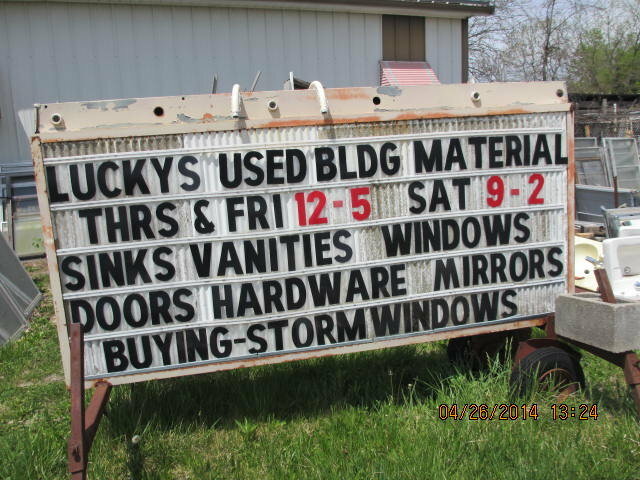 but are now are just mainly doing new and used windows and doors of all kinds.... Also sinks and barrels, but there are always many other things. We can't order in things- its just what we find and it changes all the time, so if you like something, its better to get it now since we may never get it again! 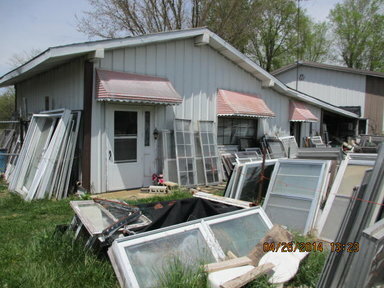 We are on Rt 63 north of Cabool, 3 buildings with pink awnings and lots of windows!